THE ULTIMATE CALLOUT CHALLENGE TRUCK. 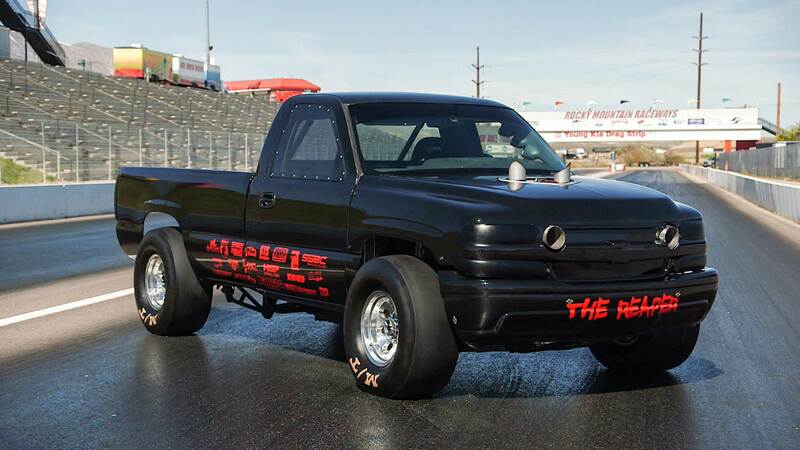 Accurately coined The Reaper, this truck is not your weekend warrior toy-hauling workhorse. 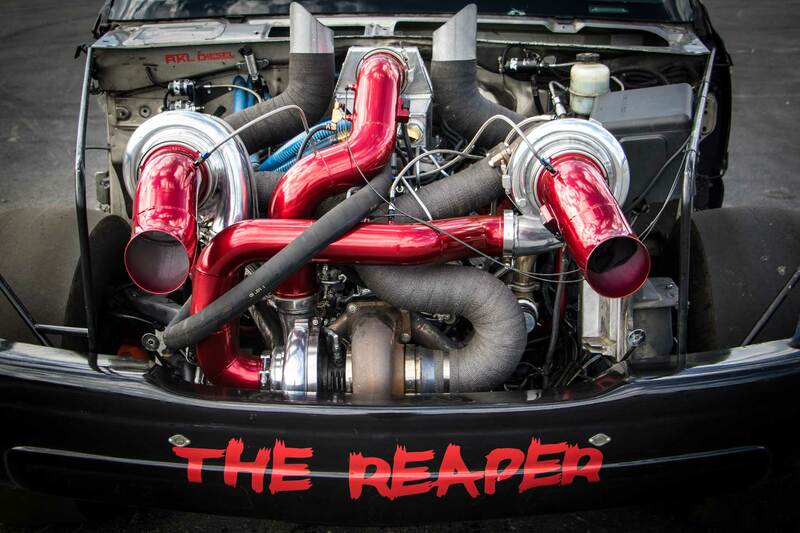 The Reaper is a purpose built machine made to do one thing- melt faces one quarter mile at a time. 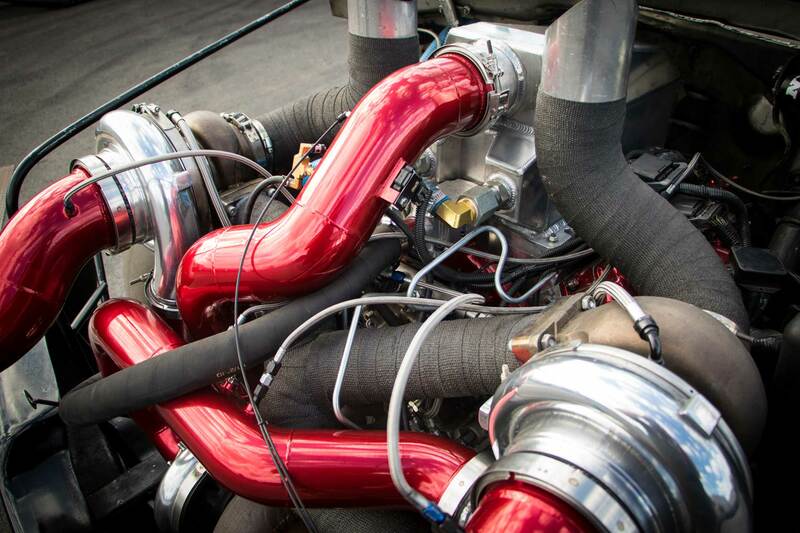 Producing nearly 1500 horses of power, the internally balanced 6.6L race motor is no laughing matter. Sporting triple HSP Turbos, an HSP water to air intake manifold, 500% Exergy Injectors, three 12mm Exergy Pumps, and Wagler heads, this is one built Duramax. All that power is then fed into a Full Billet 47re Manual Valve Body Transmission where it’s converted into useable power, split up, and sent to the front and rear differentials. 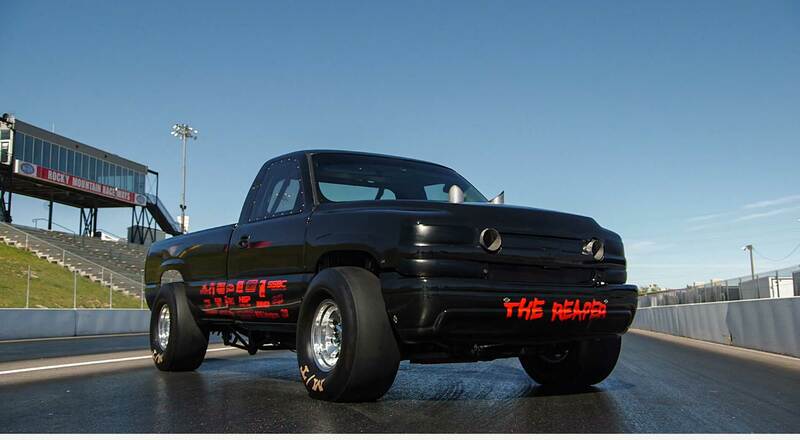 Yukon 3:42 gears, spools, and axles combine to send that power to the 33×12 Mickey Thompson Slicks. 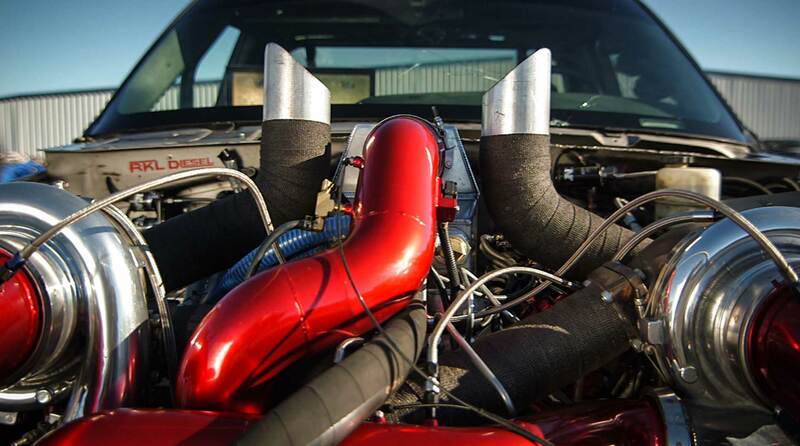 Easily breaking 10 seconds down the track and laying out 1480 HP on the dyno, it’s safe to say that our in-house Duramax expert, Chavis Fryer, has outdone himself on this one. You guys build some great trucks! The impossible dream ! Total kiaos ! Love the show and what you guys do!! PS heavy D rules. Marcos balthrope of forsyth Ga! You guys f$!#!!. Rock bro. #want a diesel need a diesel. # life ain’t right unless your puffing smoke.